Ellen Kingsbury is a nurse practitioner in psychiatry/mental health. For more than 30 years, she has been a provider of psychotherapy for adults, adolescents and groups. Ellen will provide psychiatric medication evaluations, management and ongoing assessment as needed. She taught psychiatric nursing at Boston University and the University of New Hampshire for many years. In her work with clients, she encourages the use of daily journal-keeping as a way to develop insight and understanding. She teaches clients to use daily meditation as a tool for wellness. Ellen has completed a course in Transcendental Meditation and has also trained with Dr. Jon Kabat-Zinn in Mindfulness-Based Stress Reduction. She practices daily meditation in her own life. 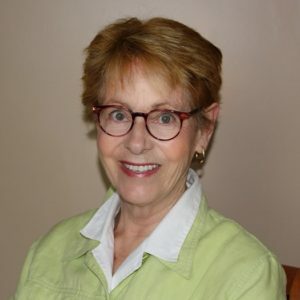 In addition, Ellen works with older people who are experiencing life transitions such as retirement, death of a spouse, illness and end-of-life issues. She facilitates a group for people who are contemplating or experiencing retirement and the changes which accompany that decision. After a person completes the intake paperwork, the first 1-2 sessions consist of going over the patient’s history and discussing his or her goals for the sessions.